While Netflix and Stan may push out the video services, there are plenty of people that prefer the printed word. If you know someone like that around the holiday season, let them embrace the digital equivalent with a gift for readers. That might just be the text itself, or it might be something to read the text on. Whatever it is, this guide is for that type of person, and offers a glimpse into the choices available if you’re buying for someone who loves books and wants to take their passion to the digital world. 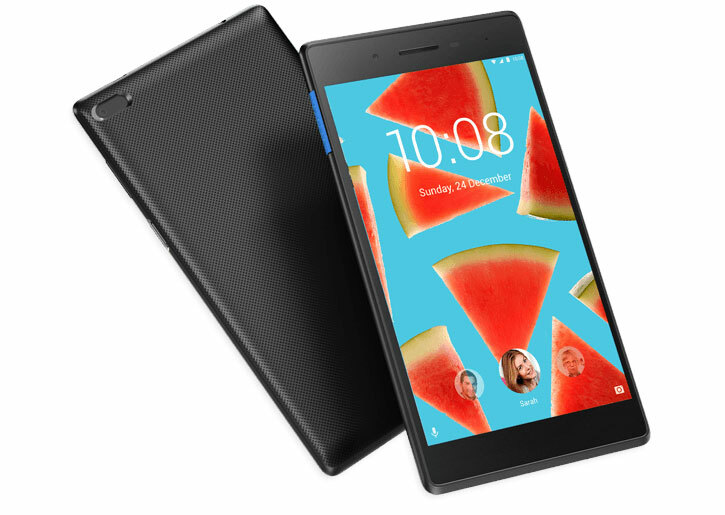 A bare-basic tablet that doesn’t quite hit $100, Lenovo’s 7 inch “Essential” tablet runs Android and offers a handheld device that’s a little bit bigger than a paperback, but not quite there at trade paper width. The technology under the hood isn’t amazing, but at 254 grams, it’s going to let you surf the web, check email, do social, and download books and more from Google’s Play Store. The first Kindle you should consider, Amazon’s Kindle Paperwhite takes the Kindle and gives it an update, offering a front-lit “Paperwhite” screen, as well as a design that can survive a dip in the water. You know how books are water resistant because they dry out? 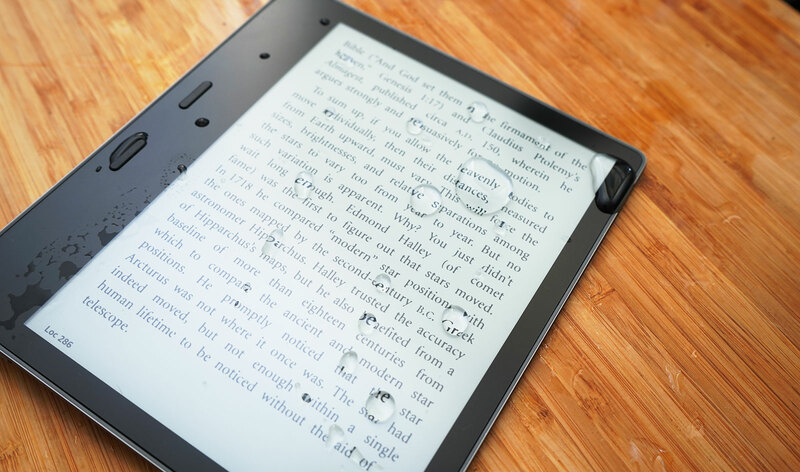 Amazon’s 6 inch Kindle Paperwhite is a water resistant eReader, and one that won’t break the bank much, either. 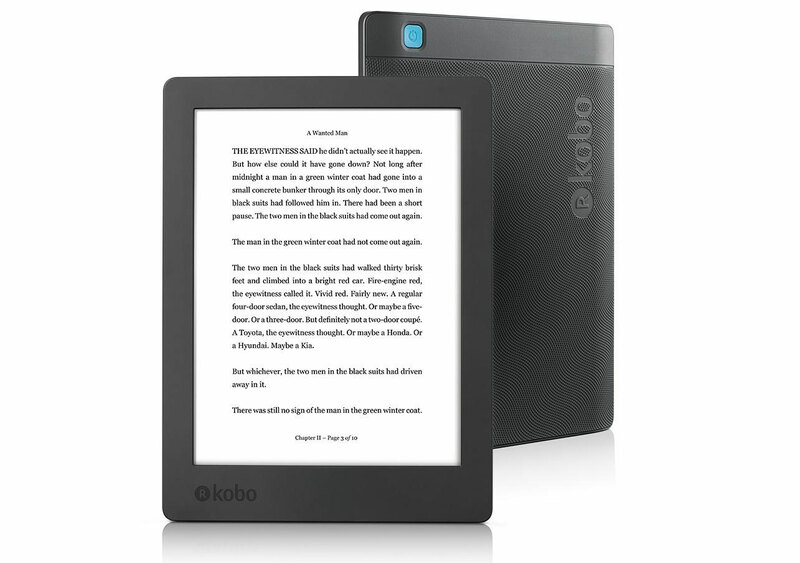 A little more, Kobo’s water resistant Aura H2O is the same sort of device as the new Kindle Paperwhite, but it’s a little bigger at 6.8 inches, and takes the ePUB standard. That means that you can buy books from other retailers that support ePUB, and from online sales, as well. Simply put, if you find the ePUB standard somewhere, you can load these on, and it even supports comic books in CBZ and CBR natively. Ridiculously thin and light, the Kindle Oasis is one of the slimmest eBook readers around, and offers a bit 7 inch eReader in a body that measures 3.4mm at its thinnest point and 8.3mm at its thickest. Its design is reminiscent of a page that has been folded over, but it’s a slim book that offers front lighting, water resistance, and storage for plenty more books than just one. It’s Amazon’s best Kindle right now. 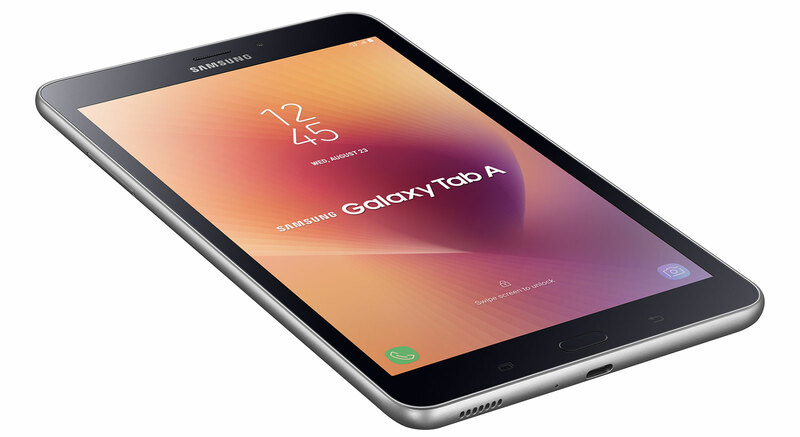 One of the last 8 inch Android tablets with 4G built in, think of the Galaxy Tab A as a portable tablet that can download eBooks from practically anywhere, and anything else a tablet can handle. There aren’t many 4G Android tablets available in Australia, and certainly not at the 8 inch size, so if you need a tablet that can handle more than just the WiFi you use at home, we’d be looking at this. If you don’t need 4G at all and want an iPad, you may be surprised to learn that Apple’s iPad isn’t just a great tablet, but also something that can read books and comics, too. 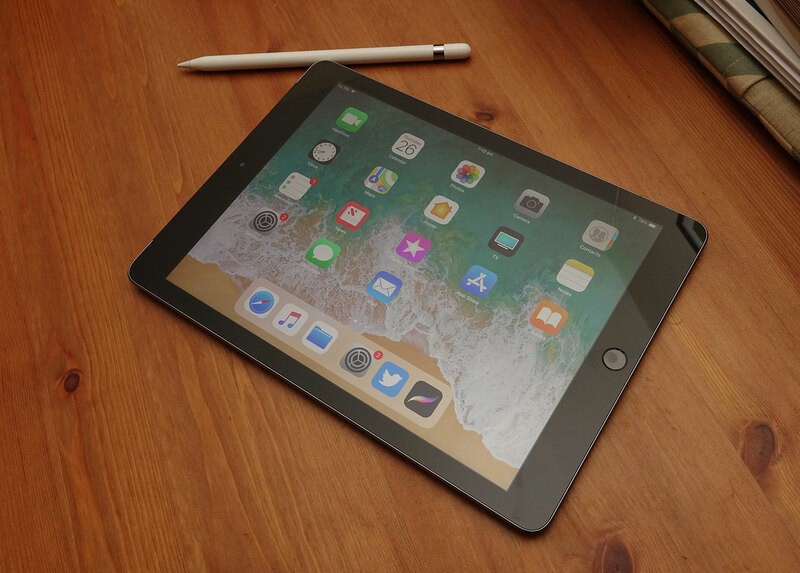 It’s a little bigger at 9.7 inches, and while Apple makes a 7.9 inch iPad Mini, it hasn’t seen an update in a long enough time that we’re hesitant to mention it on a guide. However, the iPad 9.7 is worth a look, not just because it’s great at books, but because it’s pretty much great at everything you’d need an iPad for. It’s also handy to know where you can get digital books from. Shock horror: the answer is the internet, where you can find practically anything and everything, and digital books are a part of that. Each device will likely have their own store, with Kobo offering its own store, a Kindle offering access to Amazon’s store, while an Android tablet like the Lenovo and Samsung giving access to either Amazon’s or Google’s Play Store, and the Apple iPad giving you a choice of either Amazon’s Kindle Store or one offered by Apple’s online iTunes-connected Books bookstore. The point is that each device offers a choice, and if your tablet or eReader supports a format like ePUB — which everything except the Kindle supports — you can even buy ePUB digital books off a store and transfer them to your device. If you don’t have a problem unwrapping a gift ahead of time for the person you’re giving a present to, you can essentially preload it with digital books. Digital books aren’t the only thing an eReader can be used, for though. There’s also comics. Yes, the story-driven art form that is found in graphic novels, manga, and comics can be used on a tablet and many an eReader as well. Those same online bookstores tend to also sell comics, while other places such as Comixology and even Humble Bundle’s occasional comic sale mean you can buy a gift of comics and send them to other devices. Essentially, it means you have options if you plan to give an eReader as a present over the holidays, as many can do double duty and let you read both. And if that special someone you’re buying for doesn’t need an eReader, consider a gift voucher that will let them splurge on a digital text of their own choosing. Amazon offers gift vouchers for its store, as does pretty much every online book presence.